I will have to re-read that section of the book. Yes, any reinforcement will make paneling more difficult. I believe my last thought on the subject was that particular suspension point is less loaded than originally thought. 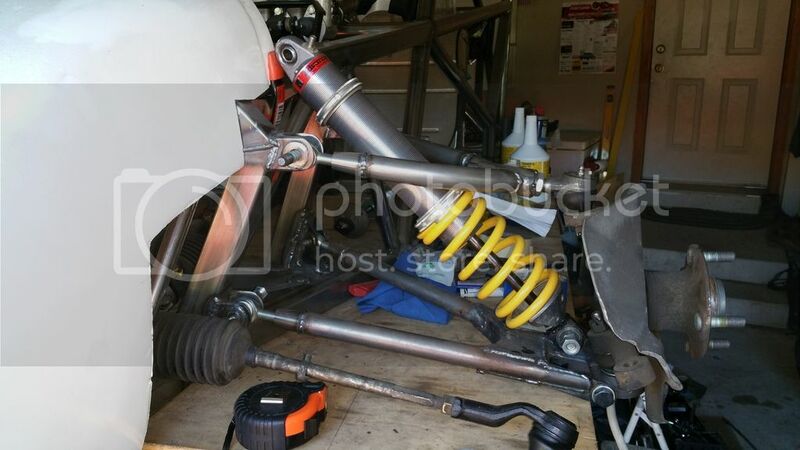 Under braking the forces will be trying to push the wheel backward relative to the chassis, with the upper and lower arms resisting this force and loading the rear suspension points. At the same time the upright is being torqued by braking trying to rotate in the direction the wheel is spinning and loading the upper rear bracket in the direction of travel. These forces act together and somewhat cancel each other out at that upper rear suspension point. I discovered that I had not been paying attention to the orientation of the U joints when making the intermediate shaft, and had them 90-degrees out of phase, so I re-did the shaft and welded it all up. 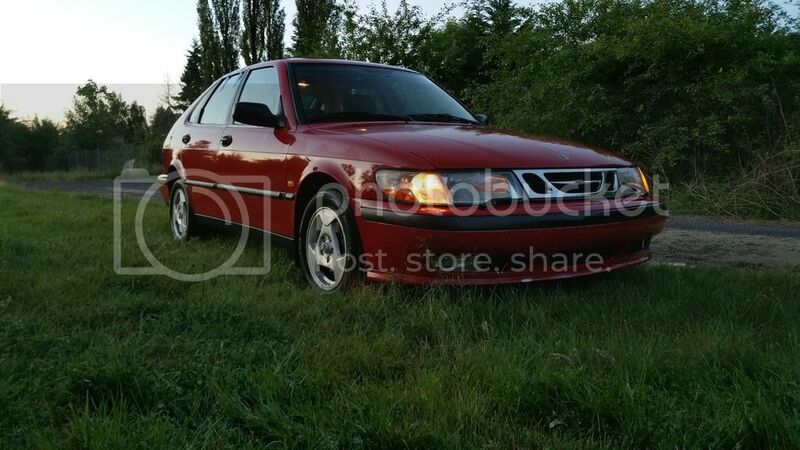 That's right, a whole Saab for $50. Keys and title not included. A bit of welding on a new bumper support, new key and security module, new fuel pump, re-built axles, new window regulator and a lot of paperwork for the lost title and it's a good running car and legally in my name. Since the shocks are a bit longer than the book shocks I am thinking I will set them up to be slightly compressed to the 18.25" spec in the book so that I can switch to a shorter shock in the future if these don't work for me. At full compression I still have plenty of travel and room for a bump stop, so I am OK there, but I will have some extra droop with this arrangement. How much I can't say for sure right now because the table is in the way to let the A arm down anymore and I am far too lazy to do the geometry. I estimate another inch or so. Any harm in this arrangement? Next steps are to fix the band saw that has been broken for months and get going on the rear suspension. No harm; like you said, they can be made to work by offsetting the upper mounting points. Not much droop is needed because once the spring expands to full length, anything more and it'll either rattle around loose or the shock's reached full length. 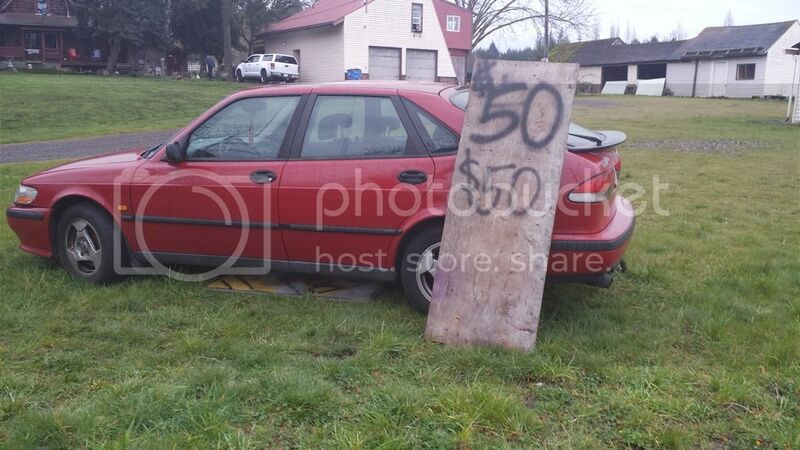 Expect a unsprung front corner weight to be "about" 250 pounds and back-calculate from there. As noted in the book, the required spring rate will be fairly high due to how much the shocks are leaned over. Keep an eye on possible interference due to the lean angle, especially under full bump and when turning. I think tender springs will be a requirement. 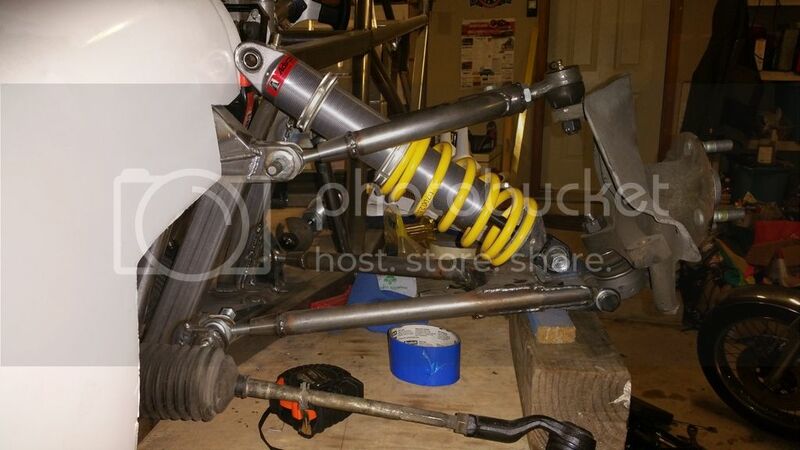 Looking at the recommended ride height of these shocks (in the 15-16" range) it may be better for the shocks to run them with a bit more droop anyway. Slowly, but I'm still alive. A new position at work with extra hours, combined with kids (and foster kids) has hindered this project. We are moving to within walking distance of my work in a few weeks, and I am planning to use my former commute time to get back at the project. My build table won't be making the move as I am done with that stage of the construction if anyone wants it. Have not looked at your build in awhile. Looks great you are doing such a fantastic job.